Gorgeous and spacious 2 bedroom condo in Quincy Mansion Condominiums. This unit has beautiful exposed brick walls, vaulted ceilings, skylights in the bedrooms, living, dining room and kitchen! 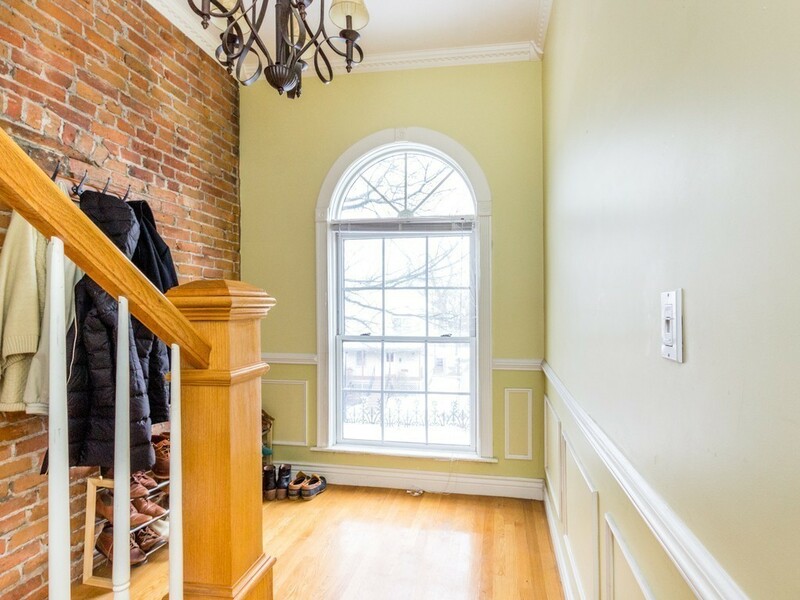 A bright 2nd floor entryway welcomes you with lots of space for a mudroom or sitting area. The private entry way leads right into the unit. Open and airy the unit is everything one needs for todays open floorpan living. 2 great sized bedrooms, living room, dining and kitchen open floor plan leads you right out the double doors to the brand new spacious deck. With in-unit laundry, skylights, exposed brick, open floorpan, exclusive outdoor space, extra storage, 2 parking spaces and priced to sell fast! What else can you ask for?! Located within easy access to the T, highway, schools and hospitals! This is one you must not miss. Come to the open house or schedule your private showing now! See attached floorpan.